in every place in the world i stay for a while, i miss german bread! here in spain the bread is mostly white and fluffy. sometimes it has some grains and seeds on top. most of the darker bread on offer is coloured with malt syrup. 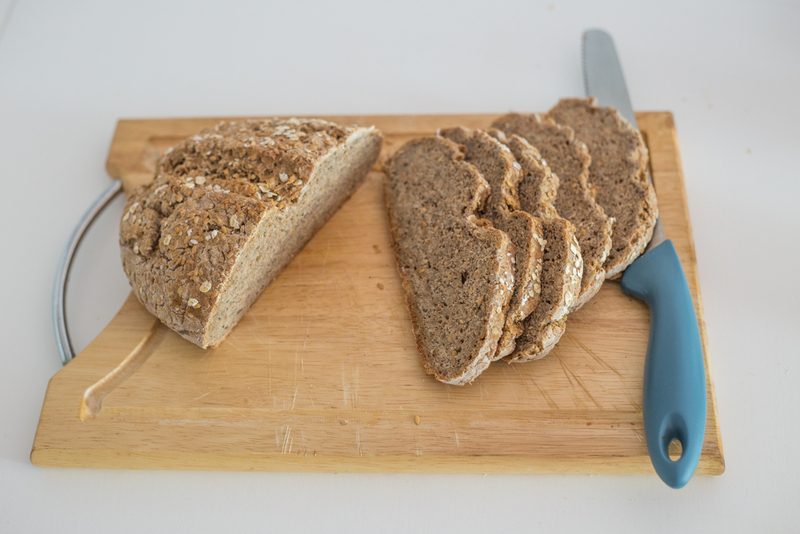 but nothing to compare with good sourdough rye bread. only a few places in barcelona offer good bread and know how to do it right. one of them is the organic bakery barcelona-reykjavik. in here the bread is delicious but expensive. the good thing: they sell sourdough to bake your own bread. 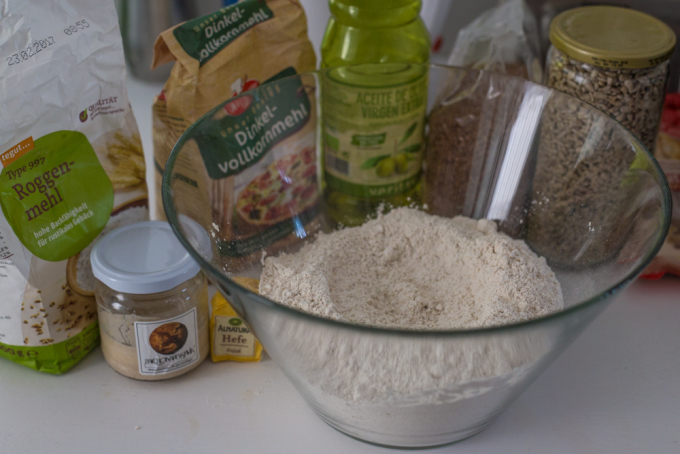 i was very happy to find that because if you do it right you can bake many loaves from only a little jar of sourdough. and with some support of the nice people who come and visit me here and bring some speltflour i can even make it more authentic. 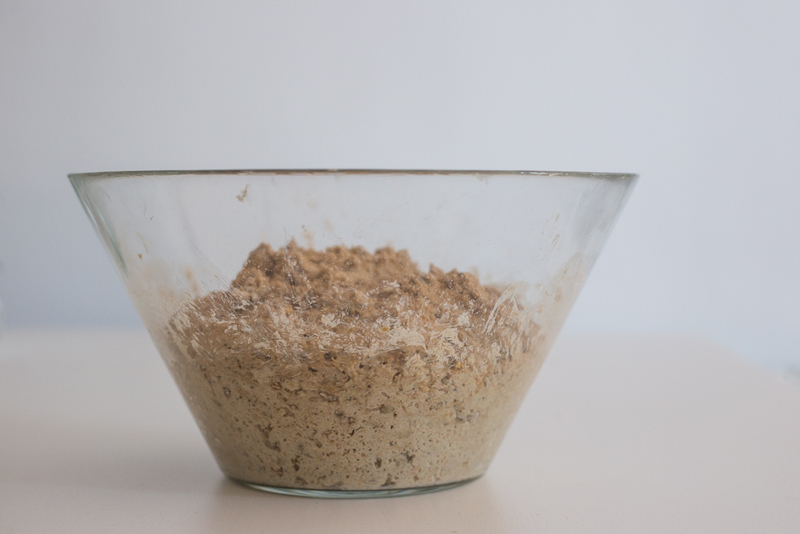 2) add rye flour and water and mix it up until smooth. 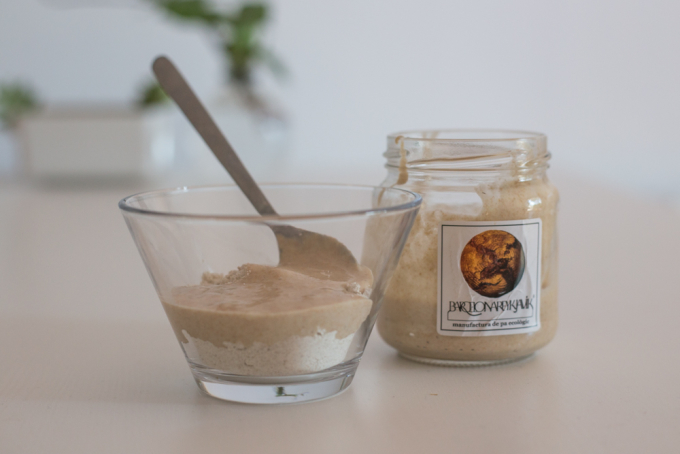 3) put it back in the clean jar and leave it open in room temperature over night. 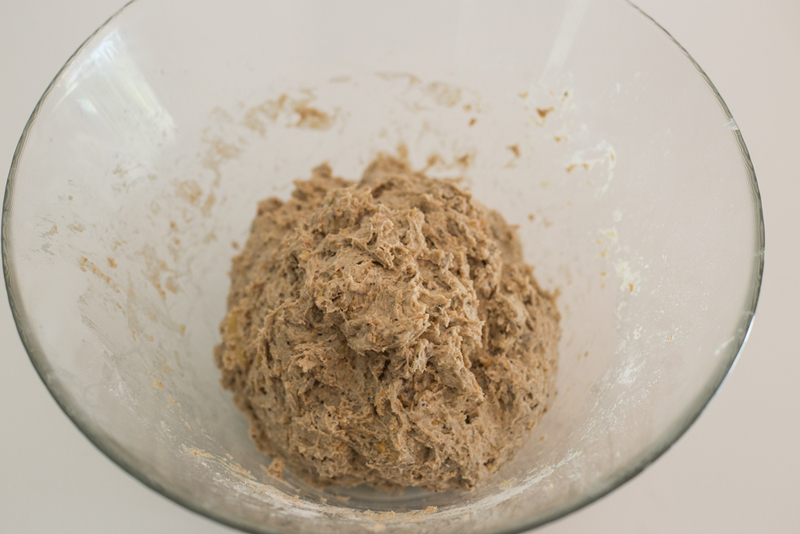 you will see the dough rising because the bacteria is increasing and growing. 4) in the morning, close the jar and put it in the fridge. it will be ready for the next bread and should be used within 10 days. 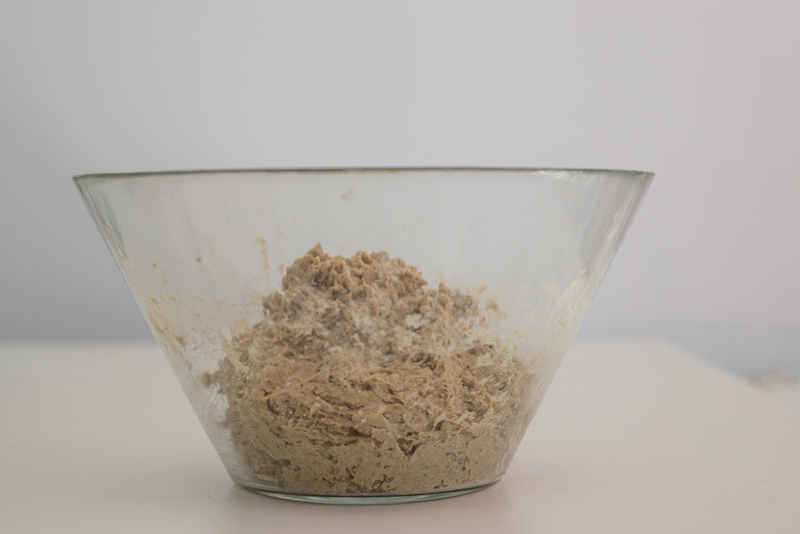 then you start this process again to make sourdough for the next bread and again and again. 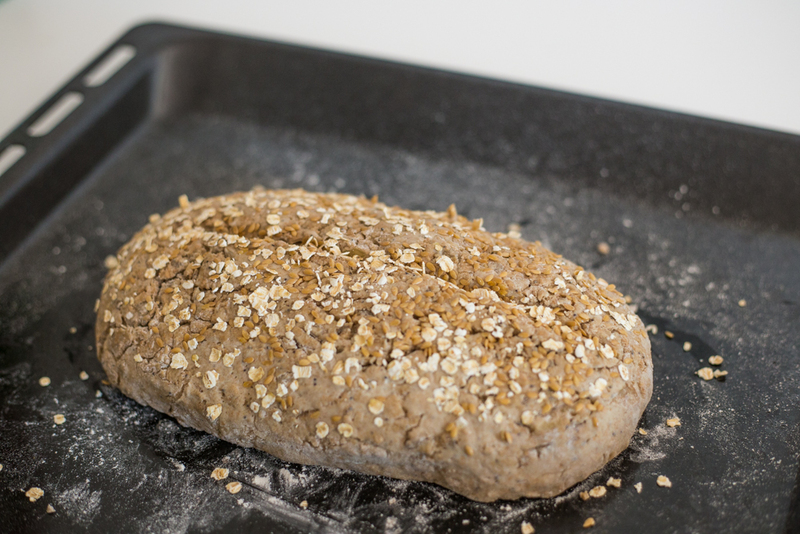 7) leave the bread for another 10 min to rest, then put in the preheated oven, 30 min 190°c. it is done when the outside is gold brown and a bit crusty. enjoy the bread savoury with hummus or sweet with coconut oil and jam. That is a fantastic recipe which I will be using!